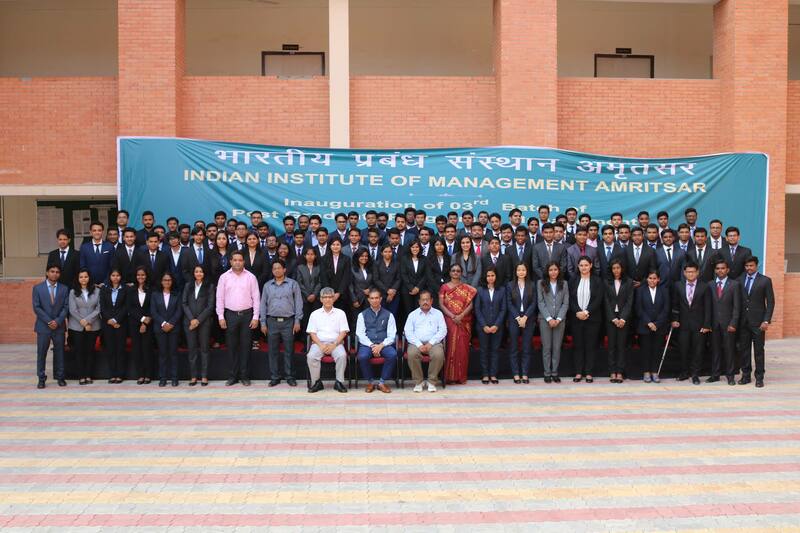 The 2nd convocation of IIM Amritsar was held at its transit campus on Monday, 16 April. On this occasion, Mr Vishesh Chandiok, the India CEO of Grant Thornton LLP, a firm he founded in 2001 was the Chief Guest. Mr. Chandiok sits on Global Board of Governors of Grant Thornton the ultimate decision making body within GT global. His firm is considered part of India’s Big5 in a short period of 15 years when many other similar firms took over 100 years to achieve this position. Lesson 1: Don’t act on ego but act on instinct. Lesson 2. Nothing is the end of the world. Sharing his personal anecdote, the Chief Guest said, “In 2007, one of my key team members told me they were thinking of ‘moving on’ a word I’ve come to hate since. Like most young entrepreneurs, I never understood why anyone would move from Grant Thornton unless they were moving on from life. It was the end of the world for me, particularly because this person wanted to go back to the Big firm they came from. This episode made me learn that leavers at the top of the pyramid are not a loss, they are an opportunity as it takes out expensive cost and provides room for younger people to grow. Lesson 3: If you are hungry enough, are willing to work hard, other than for pure luck, impossible is really nothing. With these three life lessons, the Chief Guest urged the students to become job creators and not job seekers. Sh. Sanjay Gupta, Chairperson of IIM Amritsar Board of Governors and Prof. Kulbhushan Balooni, IIM Amritsar Mentor-Director was also present during this ceremony. Other members of the board of governors, too, were present during the convocation. During the ceremony, 104 students of the 2nd batch of the Post-graduate Program (PGP) graduated and were awarded diplomas in Management. Two students of the batch were also awarded gold medals for scholastic and all round performance. Akhil Kumar Vinta received the gold medal for scholastic performance and Abdulqadir Huned Dula received the gold medal for all round performance.